Like a true lobster our man Larry is as happy to play in water as on land! He’s got a chew rating of 8 out of 10 on the Tuffy scale, which means he’s built for the long haul. 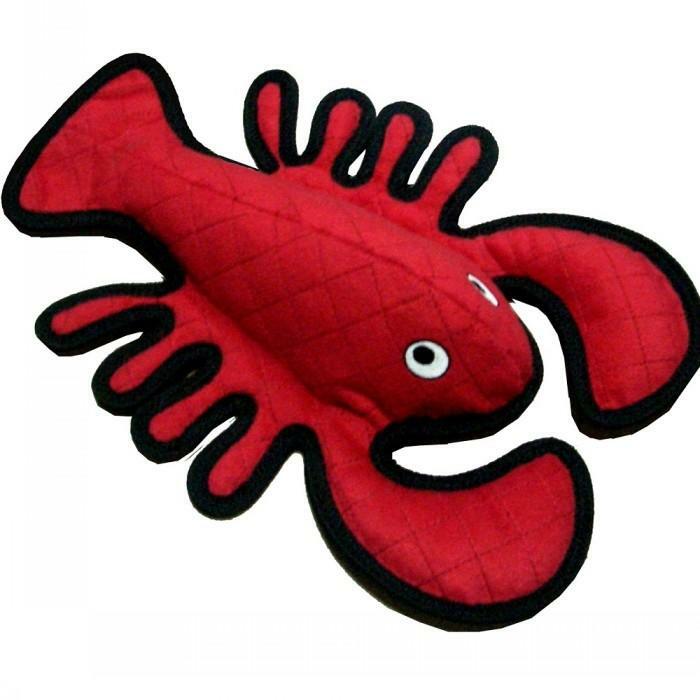 If your dog is a chewing maniac you might want to go for the Mega Gear Ring as it’s even tougher, but for your normal dog this Lobster has what it takes to last. Each toy is made with two layers of industrial grade nylon, and one layer of soft fleece on the outside. All of the layers are sewn together to make one super strong layer of material. Each toy is sewn together with 2 layers of linear stitching. After the toy is sewn together an additional piece of black nylon trim is added to cover the four rows of stitching. This extra piece of nylon is sewn with 3 linear stitches to give the product a total of 7 seams! Now that’s one tough toy! 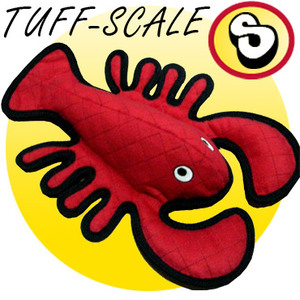 Tuffy soft dog toys are super durable with many layers of toy bonded and stitched together to make one "Tuff" Layer. The seams are always sewn multiple times. Most dog toys have just one seam while Tuffies sew webbing around the edges of the toy and then sew the edges together to reinforce their toys.